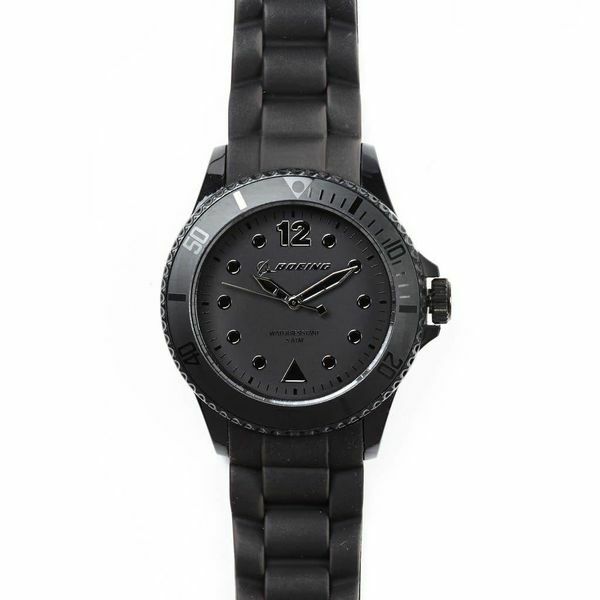 This watch offers bold styling and comfortable wear. It has a three-hand movement set in a 40-mm polycarbonate case with turning bezel. The soft 18-mm black silicone strap is adjustable, and the easy-to-read dial is embellished with a raised silvertone Boeing logo for a personal touch. Water-resistant to 5 atm. Imported.